Rhino conservation breeding project is being undertaken in Sabah since the number of rhinos in the wild is very few. According to Sabah Wildlife Department senior veterinarian, Dr Sen Nathan, the conservation programme is an important issue because there are only about 10-15 species left in Tabin Wildlife Reserve, Lahad Datu. An ageing Sumatran female rhino named Gulagob has been brought back to the Lok Kawi Wildlife Park to serve as an ambassador to promote the rhino conservation breeding project. Gulagob is now about 35-years-old or about 140 years old in human terms is no longer reproductive was caught in Kinabatangan in 1994 and housed at the Sepilok in Sandakan for the breeding programme. She was brought to Lok Kawi in 2007 and sent Tabin in 2010 for another attempt to use her for the breeding process but she could not reproduce due to her old age and returned to Lok Kawi in March this year, he said. 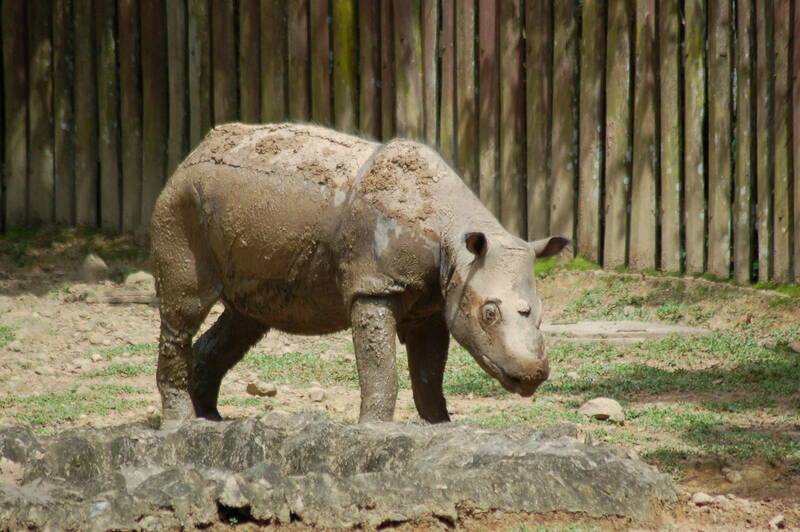 This project is a collaboration of Wildlife Department with the Borneo Rhino Alliance (Bora) who is doing the rhino conservation work in Sabah and other groups to promote the awareness programme at the Lok Kawi Wildlife Park.